Knowing God, knowing others, finding me. Thank you so much for your prayers for these past two weeks. We just finished Equip onsite orientation of 19 new colleagues and their 10 MKs (missionary kids). This group connected well with each other and learned much during their time in Orlando. 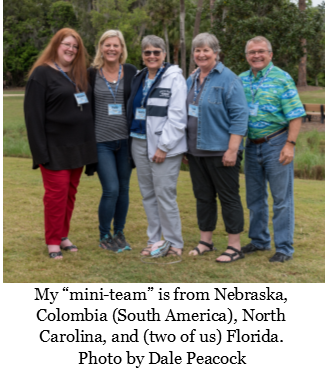 As they shared about ways they are growing and ways that the Lord is increasing their faith on this Wycliffe journey, those of us who helped facilitate the program were very encouraged. We were all able to stay healthy, too, for which I am especially grateful. They now go out to build teams of prayer and financial partners before going on to serve around the world accelerating Bible translation. As you have prayed for me and given for my Wycliffe ministry, YOU have had a part in helping them get a good start. Thank you! For a personal update, take a look at this. The meetings in March with other coaches and our part of the Human Resource team were productive and relational. 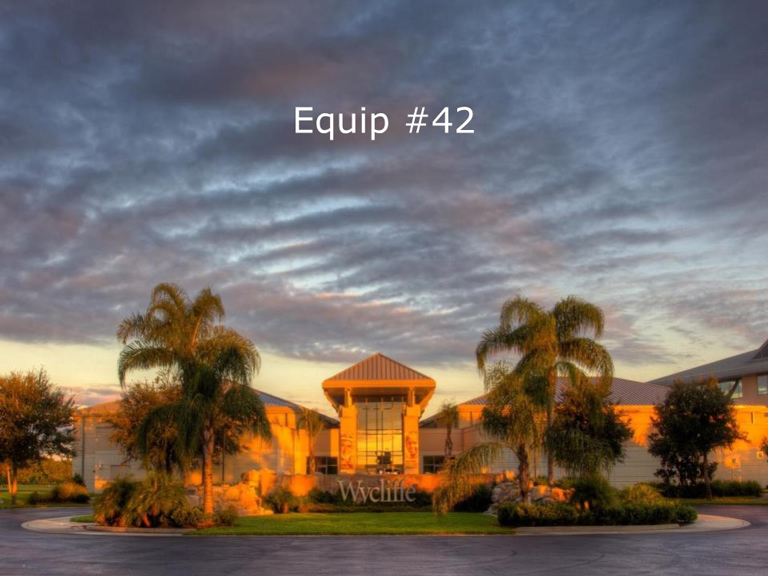 The vast majority of these colleagues are distributed around the US and serve other Wycliffe workers around the globe. As coaches, we continue to seek ways to better help our co-workers as they build and sustain teams of prayer and financial partners. This team has a heart to see all our colleagues thrive, so that they are able to serve effectively and accelerate Bible translation. All the pre-operative appointments are scheduled within the next two weeks. Surgery for a RIGHT total hip replacement is set for Tuesday, April 23, 9:00am. One of my friends will send a brief update later that day to let you know how things went. It’s again anticipated that I will spend two nights in the hospital and then head home with in-home health services for two weeks after that. My colleagues from the Orlando office are planning to provide meals for me… and that will let them come check up on me, too! For more details of what is next, visit my Google Group. In the last update, I mentioned that March is usually a slower-paced month. My expectations have been fully met! Once it was apparent that my surgery would not be earlier than April, it was possible to make arrangements for Mom to come down for a visit. We had a great time. I am only sorry that somehow I took no photos while she was here. I'm grateful for the continued health and strength the Lord provides for her and for her faithful encouragements. It's not very exciting stuff to write about, but this month there has also been time to plan and prepare and update curriculum materials for the sessions we teach. We're always looking to be more effective in what we do. I'm grateful for the brain space this month to help those things happen. Next week, I'll be involved in meetings with other coaches and our larger department, Member and Care Resources (MACR). It's our time to be face-to-face, as the majority of this department is distributed across the US. Our time is about relationships with each other and also continuing to learn to be more effective as we coach other members who are building and sustaining teams of prayer and financial partners. I'm grateful for time with some amazing colleagues. I'm still doing ok waiting for the April right hip replacement surgery -- 39 days and counting! I'm grateful for your prayers. My prayer for each of you is that the Lord would sprinkle joy and peace through your day. It would be a privilege to pray other specifics for you. Please let me know how I might join with you in prayer. Wow. That's my first reaction to these past two weeks. Week one, we heard stories from a couple who needed to leave their host country (where they had lived for several years) on very little notice as the challenges for those who follow Jesus intensified. The Lord's hand of protection was clearly on them. They plan to return for a brief time to finish up details there. Would you pray that they would be granted access and good closure? Praise God for technology, which should permit them at least some future contact with those in-country who will continue to translate the Bible. Week two, more than half of the 17 participants were recognized for over 40 years of service with Wycliffe. What a privilege to serve colleagues who have committed their lives so that others may know God's love through the translated Scriptures. Both groups gave testimony to the refreshment and encouragement the programs provide. They also know you have been praying for them. Thank you so much -- God will multiply your impact for His Kingdom through their lives. March will be a slower-paced month: prepping for next things, meeting with other Wycliffe Human Resource co-workers from around the country. I'm doing ok waiting for the April surgery and am grateful for your prayers. My prayer for each of you is that the Lord would draw you close to His heart and give you His wisdom and grace for each day. It would be a privilege to pray other specifics for you. Please let me know how I might join with you in prayer. Part of my role with Wycliffe Bible Translators is helping provide resources, encouragement, and accountability for some as they develop their initial teams of prayer and financial partners. Megan is one of the new missionaries I had opportunity to coach. In this video, she shares about the journey the Lord took her on to bring her to Wycliffe. It's such a joy to work with these "newbies." It's a privilege then to stay in touch with many once their teams are completed and they go on to their field assignments. Megan is now in her second year of teaching in Cameroon. These next two weeks, we will have groups of "established members" on campus for Connection programs. The first week will be those who have returned from overseas. The second week will be those who live in the US. Pray that we might serve and encourage them well. I'm now at 12 weeks post hip replacement and am doing very well, thankfully. I also was able to have a cortisone injection in the right hip that has been highly effective. After months of not feeling good, it has been nice to feel so much better. We're still looking at a second surgery in April. I am thankful for the modern miracles of medicine and for your many prayers and encouragements along the way!